Dolphins are intelligent mammals. Their intelligence shows in their creative ability to invent new games. Different pods of dolphins have shown to have different games and play behaviors. Dolphin play behavior is not limited to adolescence. Dolphins exhibit playful behavior throughout their lives. 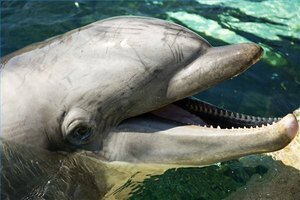 Because captive dolphins are not able to fully exhibit their natural behaviors, this article discusses the play behaviors of dolphins in the wild. Dolphins spend a good portion of each day playing. They are agile swimmers and enjoy leaping out of the water and doing somersaults in the air. They also enjoy catching the waves. Surfers have reported seeing dolphins body surfing in the waves next to them. Dolphins will often seize the opportunity to enjoy swimming in the bow waves produced by boats. Curious dolphins can potentially find fun in playing with anything they find. Seaweed, coral, fish, trash or anything else a dolphin finds has the potential to become the object of their play. Dolphins have been observed in the wild playing games of catch. Sometimes dolphins decide to play with other fish and mammals in the ocean; even if those other fish or mammals don't seem to want to play. 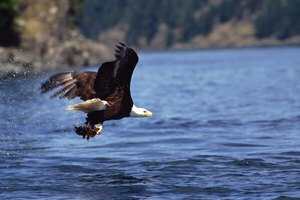 Turtles, sea birds and fish have all become the objects of amusement for dolphins. Wild dolphins often play games of chase with each other. A dolphin has been observed nudging another and a game of chase begins. The dolphins swim at high speeds and take turns chasing each other. Games of chase can last for hours at a time. Scientists have observed that different pods of dolphins have different games that they play. Games are passed down from generation to generation within the pod, with new games getting created and added on the way. Creative dolphins are adept at finding ways to play and fill their days with fun activities. On some occasions, some dolphins in the wild seem to enjoy playing with humans. Jumping over kayaks, nudging scuba divers and swimmers for attention and splashing swimmers are all examples of dolphins initiating play with humans. It is important to remember that even though dolphins are playful mammals, they do not always want to interact with humans. If you observe dolphins in the wild, let them make the decision to play with you. Never try to force a dolphin to play. Harassing a dolphin can be dangerous to you, dangerous to the dolphin and stressful for the dolphin. 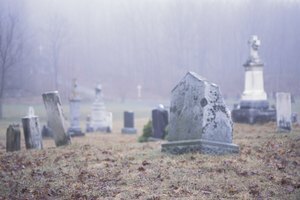 What Are the Signs of a Spirit Presence? Activities for "Sign of the Beaver"
Kivi, Rose. "How Do Dolphins Play?" 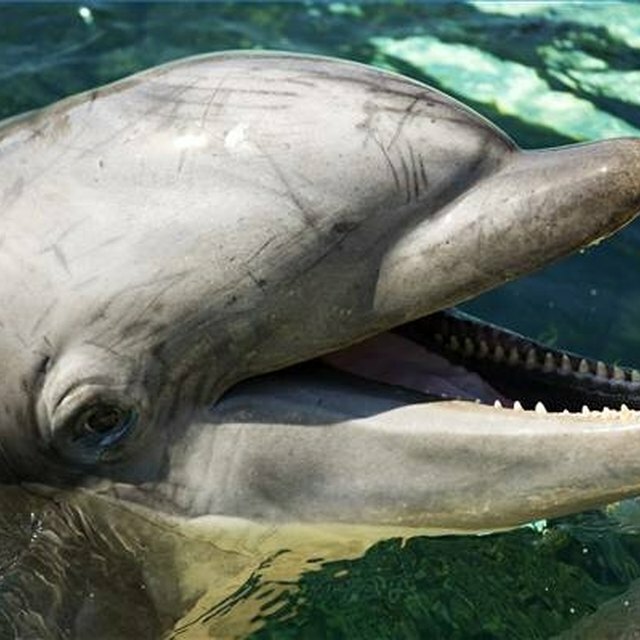 Synonym, https://classroom.synonym.com/dolphins-play-4566670.html. Accessed 25 April 2019.